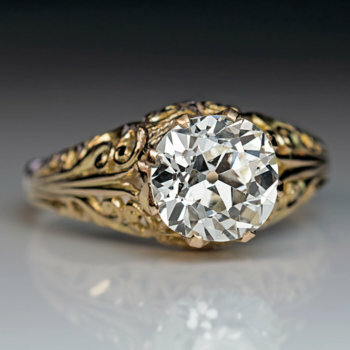 Made in Moscow in the 1880s. 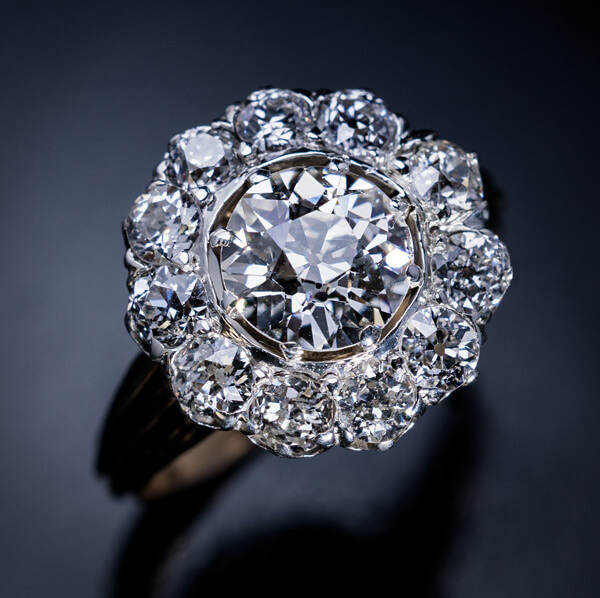 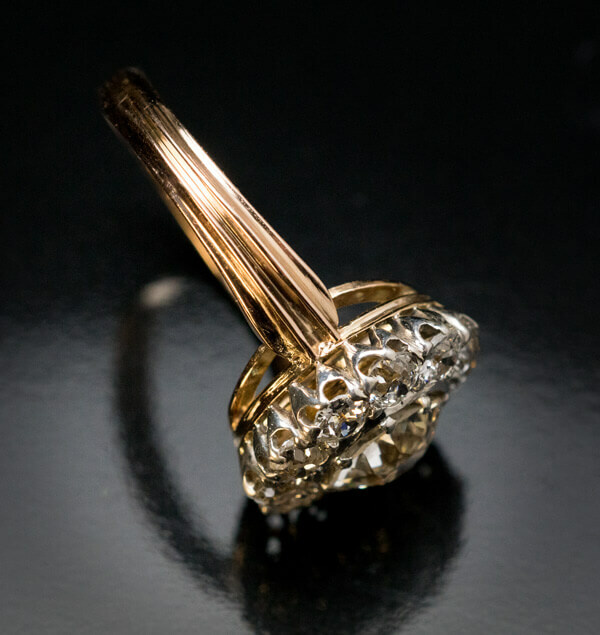 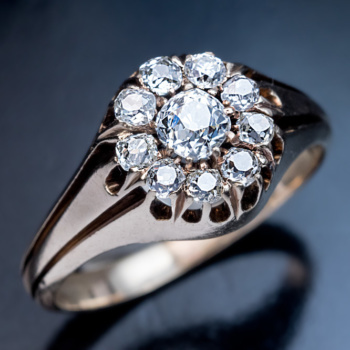 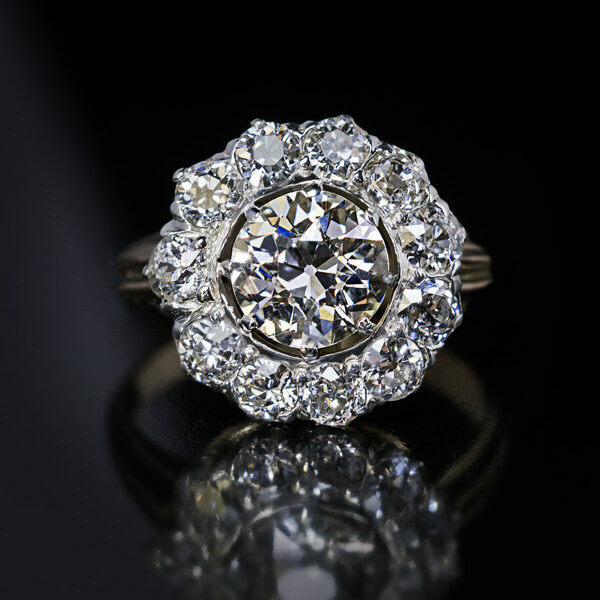 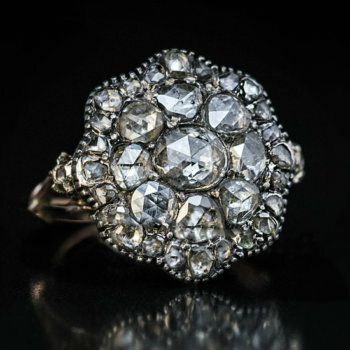 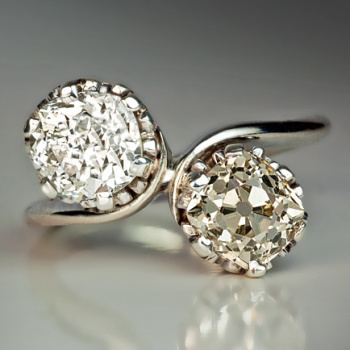 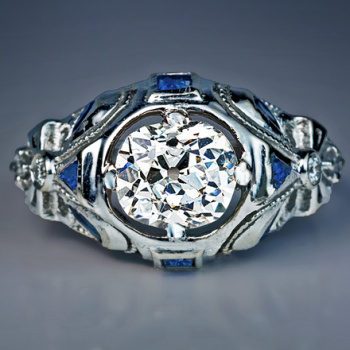 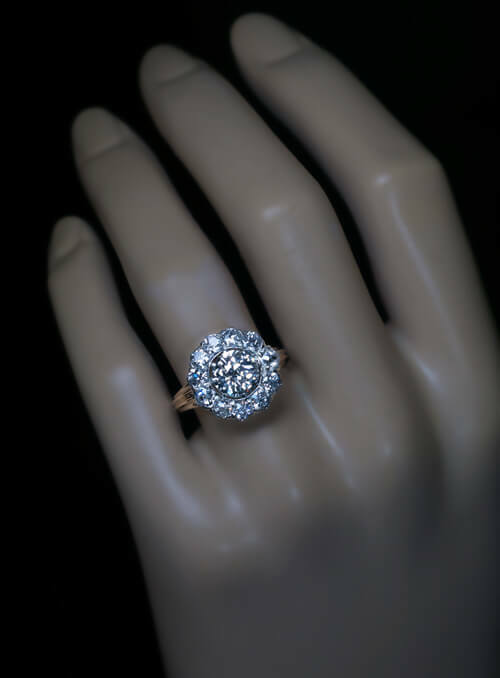 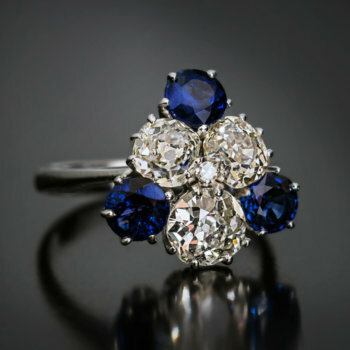 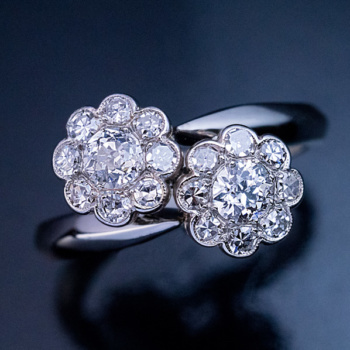 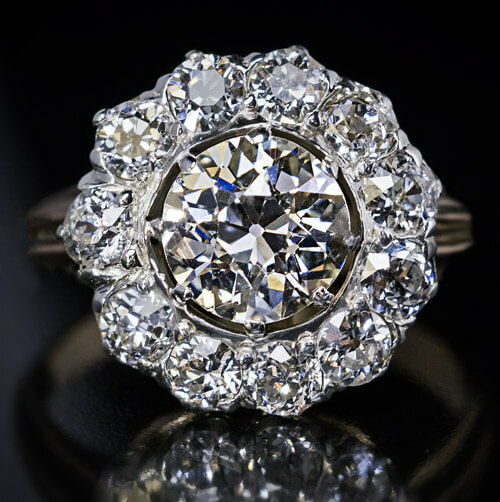 This classic antique diamond cluster ring features a sparkling 1.60 ct old European cut diamond (J color, VS1 clarity). 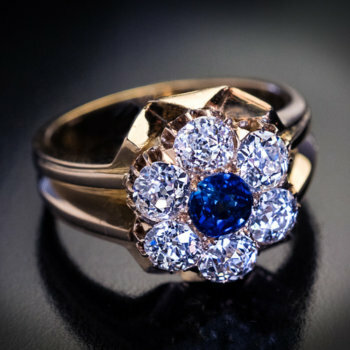 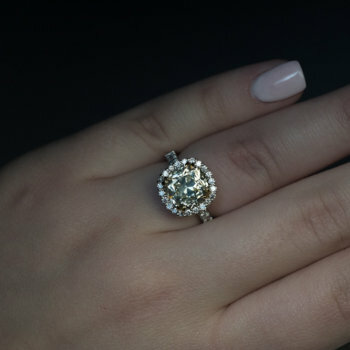 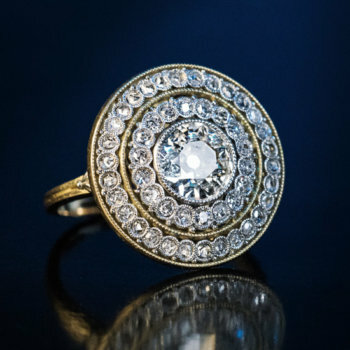 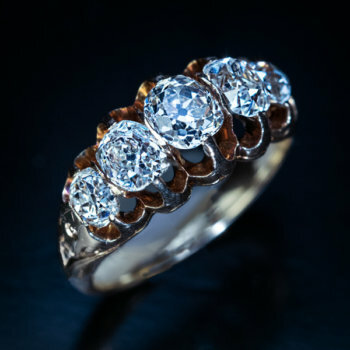 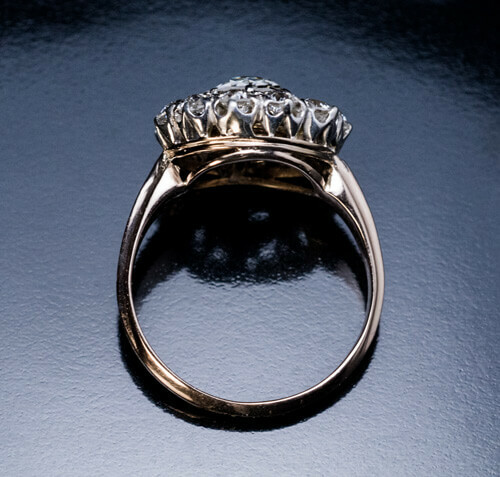 The center stone is encircled by eleven chunky old cut diamonds (G-H color, VS2-SI1 clarity) set in silver over 14K gold. 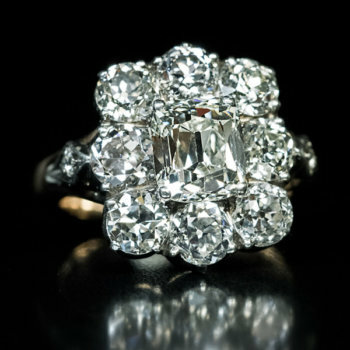 Estimated total diamond weight is 3 carats. 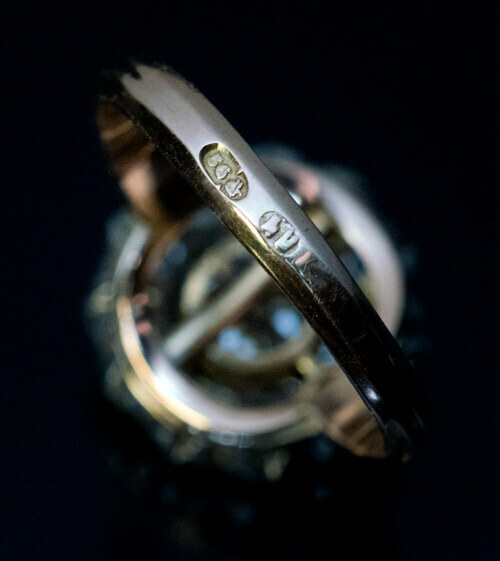 The ring is marked with 56 zolotnik Russian Imperial gold standard, Moscow assay mark in the form of St. George on horseback and maker’s initials ‘ПЧ’.